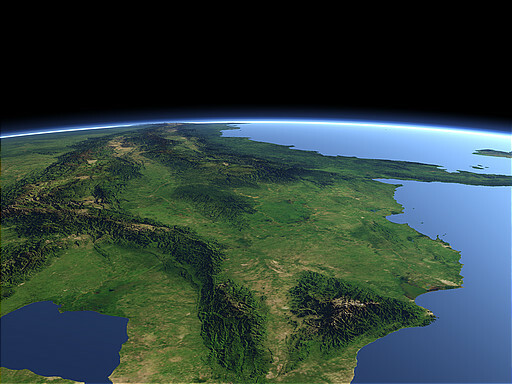 At the northwestern end of Southern America in Colombia the mountain ridge of the Andes branches into several chains, from right to left the Cordillera Occidental, the Cordillera Central and the Cordillera Oriental. 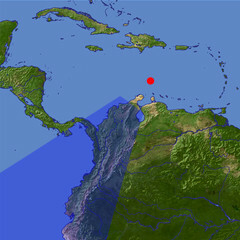 Separated from them and directly at the coast the Sierra Nevada de Santa Marta. In the background behind the Isthmus of Panama the Pacific Ocean.